But Robinson warned that cloud computing service providers must not discount AWS. “It continues to innovate, and even today around 85% of public cloud-based workloads run on Amazon,” he said. The rest of the 15% is shared between Microsoft Windows Azure in second place, followed by Openstack-based cloud services and other providers, he said. AWS topped the top 10 cloud computing providers list at SearchCloudComputing.com for three consecutive years – 2010, 2011 and 2012 – and despite high-profile outages, it showed no signs of losing its throne as the “cloud computing king". “As an analogy, Amazon is the Coke of the cloud industry. We don’t have a Pepsi yet, but there are several brands of cola available in the market,” said Robinson. But an increasing number of enterprises are using Microsoft, Google, EMC, Verizon and Rackspace cloud services. According to Robinson, several factors have contributed to cloud becoming a marketplace technology. Tighter IT budgets and the need to innovate and compete has seen enterprises consider private and hybrid clouds, as well as look at open source providers, he said. “Cloud has become the new normal. Our research has showed an evolution among enterprises’ attitude to cloud computing,” said Robinson. 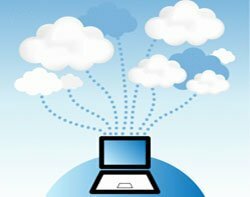 According to the analyst firm, there is a clear rise in the number of enterprises using some form of cloud computing services. More and more enterprises are considering whether the applications they are planning to buy now can be deployed in the cloud before purchasing them, said Robinson. They are also telling suppliers to bring out products on a software-as-a-service (SaaS) model so they can save on capital expenditure. “The cloud model they are exploring is not just the Amazon-centric model of web apps. They are willing to go down the route of hybrid and private cloud, making room for more service providers,” he added.